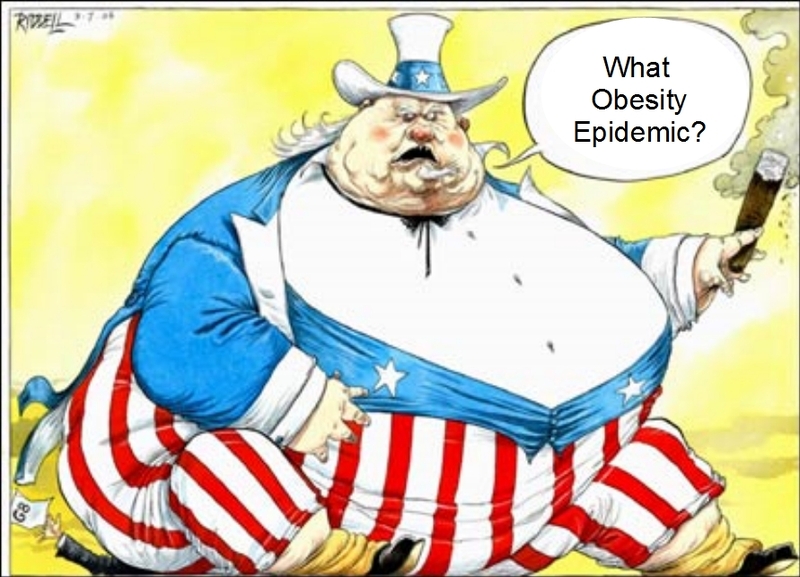 With the frightening statistics just announced that we are only just a little bit away from the majority of the country being overweight and over forty percent obese, it seems like the end is near. Just a decade ago we really started to wake up and push films and initiatives in school and at home to change things. Michelle Obama even started that garden in her back yard in Washington. So what the heck happened? Is it some sort of conspiracy, a way to make more jobs or just plain bad luck? I mean there has to be somebody to blame doesn’t there? In every good story you have the hero and his nemesis. Yet people are dying every day. I just lost my youngest cousin who was a year younger then me at age forty or so. She had become very large, had a diabetic stroke and died a day later. Is this the future that we all have to look forward too? This disease has taken the majority of the family I love. Most of my friends who are overweight suffer from illnesses that are all either caused or contributed to by obesity. There are resources out there and that do present hope. I just think we are letting time pass us by and not getting down to the root of why we are all having this happen to us. The thing I am tired of is hearing everyday is that someone who has taken off two hundred pounds in six months and has the answer. I hate to say it, but you’re part of the problem. Chances are in another year or less you will have put the weight back on and more. It is not that I am jealous, it is the sad fact that 98 percent of people who go on these type of diets will fail. Those are undeniable facts. We as a people have to look at the situation very differently. Our responsibility has to be to our own health first. Then we can focus on the ones we love or who will look out after them. It is time for a change and I am not sure that there is one particular answer. Yet, if we do not try, just imagine what the next twenty years can bring back. Maybe a]we’re heading back to a time when the average lifespan was fifty. We are a great body of people and together, I’m sure we can find our way. It may be time to stop depending on the experts alone and start depending on each other. I welcome everyone’s thought and feedback at such a crucial time. Kirstie has been down this road before. First it was with her TV series, “Fat Actress” where she documents her battle of obesity. Then it was Jenny Craig’s massive paycheck which helped to keep the weight off by using their diet. Finally Kirstie went through weeks and weeks of rehearsals for dancing on the hit show, “Dancing With The Stars”. And just weeks after the very fast weight loss, Kirstie has her own diet that she is promoting to the public. The problem lies in the fact that Kirstie has always used the wrong motivation to lose her weight. If it’s not for the money, then it’s for the fame. If Kirstie made healthy choices that she could abide by, then it wouldn’t be such a problem. But the motivation remains financial and for fame. Without it, she would most likely return to emotional eating and land herself back to square one. I do wish Kirstie success, but I question if she is the right person to create a diet program. It seems too soon and without testimonials it can cause a very likely dangerous proposition. She claims that she worked with scientists to come up with this new diet plan. To be honest, I think the scientific community has been at this a lot longer with very little success. Perhaps instead of talking with the researchers, she should try talking to others that suffer from the same disease. You might get some real answers. You might get real results. I have spent too many times in a restaurant or at the checkout aisle in the grocery store embarrassed by what I was buying. Numerous times I gave up going out to lunch or dinner with my family out of the same fear. People said that this fear was all in my head, but realistically, I feel like I am a walking billboard for obesity. If I have dessert at a table, people look at me with shame. Yet those same people can have the post-dining treat without even a thought of judgement from my end. I feel like I am the circus act that dares to enter the places that I am supposed to stay away from. It drives me crazy that everyone looks at dieting as a form of will power, but it can’t be further from the truth. After all, who would WANT the lifestyle of a person battling obesity ? For instance, how many people watched Kirstie Alley on ‘Dancing With The Stars’ for the prowess of her dancing? They watched because they wanted to see the side show, and had the opportunity to witness when or if she’d fail. She had the potential for just that… right? 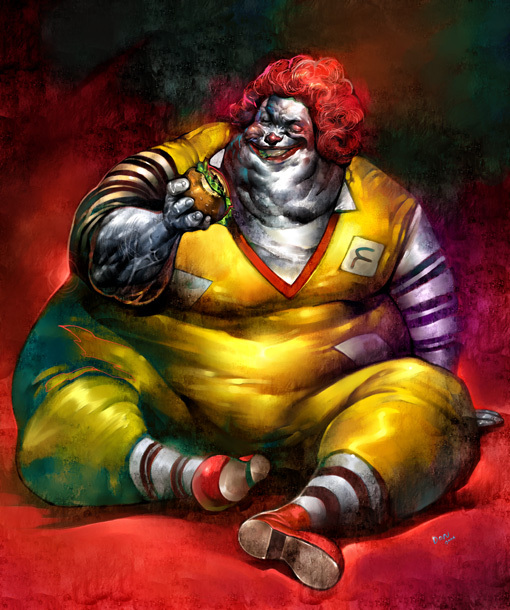 We have view those who are fighting obesity in a different light. Whether you consider it a disease or not, bigotry and verbal abuse should not be tolerated in any society. Wouldn’t it be a great world if everyone was treated equal? Obviously this equal outlook isn’t going to happen immediately, but at least we can educate people about the emotional harm that their ignorance brings. Do Bariatric Surgery Patients Deserve Applause For Their Weight Loss? Many people in my life have opted for weight loss surgery and are always applauded for their weight loss. But I question such praise; have they really taken control of their health into their own hands, or are they just another statistic in a life-altering surgery? I mean if someone has a facelift, we tell them they look great, sometimes even better… but don’t congratulate them on choosing elective surgery. Even so, the majority of the weight-loss patients gain it back. Maybe there has to be some effort on their part. The one thing that bothers me is that when a relative of mine had it done, they had to go on a liquid based diet for two weeks before the surgery. If that’s the case, why not just change your eating habits if you have the will power to do that? Sure they looked great after the surgery but there are some serious risks. All of that aside, the real question is, what are they doing that deserves applause? They aren’t really changing their eating habits by choice. Their goal is obviously to lose weight, but at what cost? Why not just lock their jaw? Oh, that’s right… that has been tried before and didn’t work either. Most celebrities who have had the surgery lie about it. Even the ones like Kirstie Alley or Mike Huckabee are accused of having the surgery and so far there, all lips remained sealed. And then there are cases like Carnie Wilson, who has basically been a spokesmodel for Bariatric Surgery, shouting from the rooftops over their weight loss surgery. …and she gained it back and starred on Celebrity Fit Club. 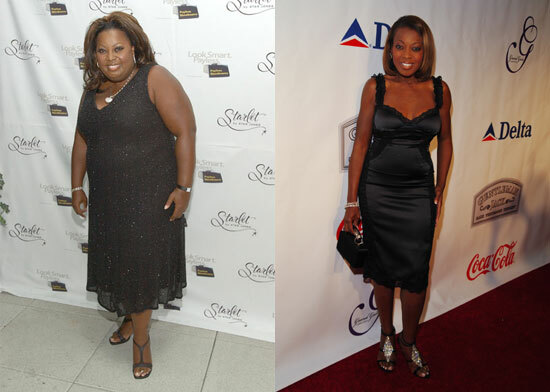 We still have hope for Star Jones though, right? I ask you: Is the surgery worth the risks if you can gain it back like Carnie Wilson or many others? It is always your choice… but there have to be other options. It has been a very long journey completing the film. Personally and professionally, it has been the most challenging undertaking of my career. I have been so fortunate to have a cast ranging from Jillian Michaels to Mike Huckabee, The FDA, Weight Watchers and hundreds of others. When I started out, we were “a nobody” and it was very hard to get people to come aboard. Now the big names keep coming and I will be traveling the final ten states out west that we have not hit in our search for truly, finding thin. The reason I started this quest was to find the magic answer and to be honest, up until this week I wasn’t sure that I had yet. But now, perhaps I have found the answers to the questions of the ambiguous title, “Finding Thin”. Of course you will have to wait for the film to come out as the answers will indeed surprise and hopefully help you on your personal journey for long lasting weight loss…and most importantly, a long healthy lifestyle. For most of the movie, I was putting on weight but now I seem to have that under much better control. I have the support of the best cast and team that I have ever worked with. I would never want to do another film without them. I have made many real and loyal friends, team members, and great interviews that I can really count on. All the celebrities, trainers and authors that have come aboard to help have created a mind-blowing revelation that I can’t wait to share with you. One of the biggest things was trying to find the real people from the pretenders. Sometimes true talent and sincerity is very hard to come by but I feel very confident that I have found it. This movie showed me that there is a support system out there, including all of you online reading this blog right now. If I can help just one person with this struggle to get healthy, then I have something to be very grateful for. We didn’t take any outside funding for this movie in order to keep our impartiality and integrity and I am so proud of that accomplishment. There aren’t many films of this magnitude that can say this. I will guarantee you that this will be one of the biggest films on weight loss and I am so proud to share it with you. Let’s all keep joining together to fight the fight against this dreaded disease of obesity. I know we can beat it. So please know that there is hope out there and please share your thoughts or suggestions to us. The ‘Finding Thin’ team and I are eager to hear and help all of you in any way we can. 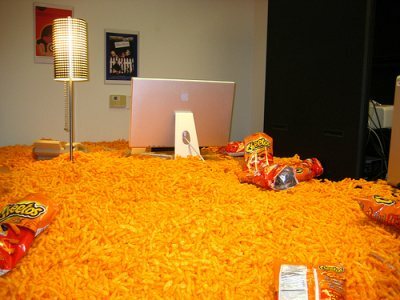 Many of us think we have the will power to say no to the office treats co-workers bring in. Most people will walk by those cookies or cake their associates have brought in for everyone and simply say “not for me” in response to the enticing offer. Well I can tell you that after about the tenth birthday celebration, the tenth work anniversary party and the tenth baby shower at work, the sugary treats will win in the struggle of weight loss. What is more ironic is that your co-workers are also threatening not only your health, but your employment also. In these hard economic times, companies don’t want to pay the higher insurance premiums and will take that into consideration if you are applying for a job. So please do everyone a favor and save your money and your job. There is always time to stand around the water cooler and talk about the sideshow of ‘Dancing With The Stars’ as Kirstie Alley takes a fall because of her weight. Maybe we should be talking about how she got that way and is struggling to lose. But she has the guts to still get up there and dance. Over the last week or so everyone has been up in arms over the insults thrown at Kirstie Alley over her ‘Dancing with the stars’ appearances. Comedian and talk show host George Lopez even reacted by saying she was “a pig with hooves” for dancing on that show. First off, I must applaud Kirstie for appearing on the show. Not because to her weight issues but because it takes guts for anyone to learn to dance on network TV. I watched the show for the first time to get a glimpse of what everyone was talking about and really felt proud of Ms. Alley. She danced with passion and pride. Watching the stars took me back to the memories of my mother as a child at different family receptions and how she was never afraid to get up and dance with the family. There was no shame. So why does it now become socially unacceptable to not dance in public. Instead of taking Mr. Lopez for his cruel jokes and bad comedy-though I never really found him to be very comedic to begin with- I am going to take a different approach. I would like to know what makes people that ugly to people that they should be kept from participating in certain activities. Should we start to segregate people into groups? Larger people in one place, thin in the next? I had hoped we had gotten farther in society than what we’ve witnessed recently. It is a relief that no one attacked Steve Wozniak or Heather Mills…if that’s even a crossroads. There really does seem to be a line that is acceptable to cross when it comes to overweight people. Maybe that is why the majority of larger actors only get to play comedic roles. They are shunned from being a spectacle. I say, shame on George Lopez and anyone who agrees with his unacceptable humor.